The Ramirez Family has lived in their current apartment in Pauma Valley for the past two years. Calling it an apartment is a stretch – it is more of a structure that the family has done their best to turn into a livable space. The boys share a sleeping space, and the parents sleeping space doubles as a kitchen. The septic tank for the apartment complex is emptied twice per year and instead of taking the refuse away, the tank is emptied in a ditch near the home. The kids in the neighborhood are often sick, likely as a result of exposure to the waste. Lionso and Elidia are very hard workers and have steady jobs. Son Ivan is a sophomore in high school and Lionso Jr. is studying Psychology at Cal State San Marcos. 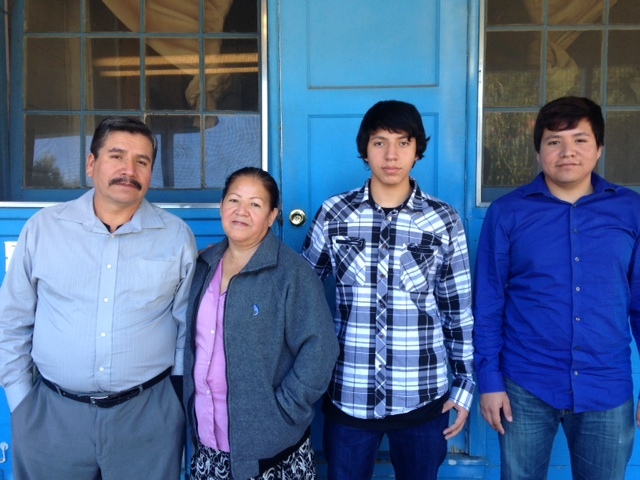 Owning a home through Habitat will change the future of the Ramirez family. They will have a stable, safe, healthy roof over their head where they can thrive. They have already begun their sweat equity hours and are looking forward to their new life.